I am glad that The Sample Store, formally known as Fr3b had sponsored me with this lovely and juicy series of lip balms for me to test and review on. I am not someone who fancies lipsticks or lipgloss, and even if I had the need to apply those for my date or events, I would always apply a layer of lipbalm beforehand to moisture my crack lips. For normal days, I would simply complete my make up set with a thin layer of lip balm before heading out! To me, when choosing a lip balm, I would always choose those that can really moisture my poor cracked lips and preferably, with nice taste and affordable price range! So now, I am going to show you my new love that I can't live without with! Firstly, allowed me to introduce you the first series, Mogitate Kajitsu. This "juicy" lipbalms js bursting with NATURAL FRUITY GOODNESS and HONEY. It comes in 5 different fruit mixes for you to take your pick : Strawberry, Grape and Berry, Orange and Mango, White Peach and lastly, Lemon and Lime. - The Launch of Mogitate Kajitsu is in line with the growing demands for natural products worldwide. Consumers are increasingly interested in natural/organic products as they learn more about their health and wellness benefits. (Euromonitor International Report June 2009). - Mogitate Kajitsu is made with FRESH FRUIT Juice which contains ESSENTIAL MINERALS and VITAMINS that are benificial to both the lips and body. It also contains HONEY, which HEALS and RENEW the lips, so that you can get the real, Natural Fruity goodness to NOURISH your lips to make it soft, supple and oh-so-kissable! Real, Natural Fruit Juice and Honey formula, fun and exciting flavors and lastly, its colourful packing! It is no wonder that Mentholatum Lipbalm is the #1* bestselling Lipbalm brand in Japan! - It also contains other moisturizing Booster such as Squalane ( helps to REDUCE the winkles caused by aging and sun damage), Grape Seed Oil (Repair Skin) and Vitamin A&E (Antioxidants that retards lip aging, and gives lips a healthy shine)! Next on the list, We got Metholatum DEEP MOIST series. 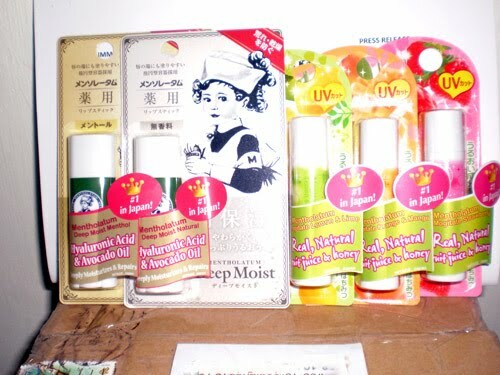 Deep Moist was launched in Japan in 2008 and has seen Tremendous success and popularity there. 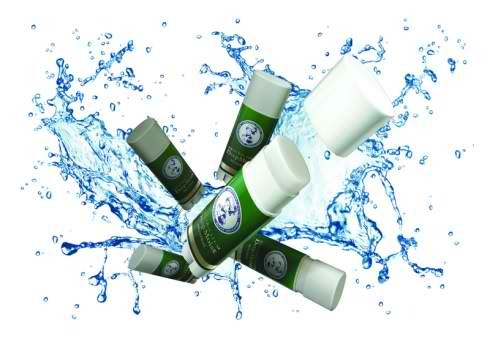 The two variants, Deep Moist Menthol and Deep Moist Natural, quickly became the top selling lip balms in Japan's lip care market, which became the #1 top selling lip balm in Japan (2006 to 2009).It was then introduce to Singapore in July 2010 by ROHTO-MENTHOLATUM. The success of deep Moist is dure to 2 MAIN factors, its Premium hydrating ingredients at value pricing, and its elegant, ergonomic packaging design!. Hyaluronic Acid, a premium ingredient that forms a smooth, moisture locking shield for softer, smoother lips. It can hold 1000x its weight in water, or 6 litres of water with just 1g! Shea Butter, which heals the skin, gives a soft, pleasant texture to the lip balm. Jojoba Oil, which gives pro-longed, whole day hydration to the lips! (2) The Deep Moist lip balms comes in an innovative Emerald Green, oval-shaped container designs that fits the corner of the mouth well and makes it easy to apply with a single swipe. - Mentholatum Deep Moist comes in 2 variants : Deep Moist Menthol that leaves a cool, menthol feeling on the lips, and Deep Moist Natural for those who prefer it fragrance free! You can find this latest series of Lip balms retailing at $5.90 for Mogitate Kajitsu and $7.90 for Deep Moist series EXCLUSIVELY at ALL Watson's store! My review for Mogitate Kajitsu Lip Balm. Freebies for my Lovely readers!! 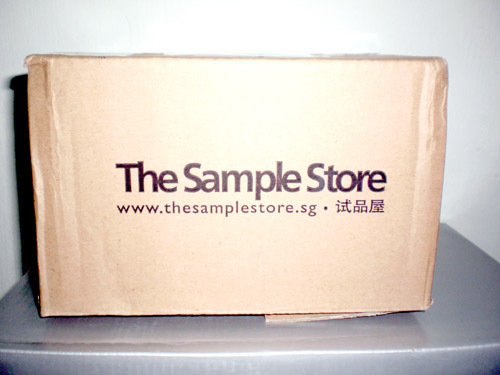 Redeem your FREE Lip balm sample here: http://on.fb.me/tz4Aux!